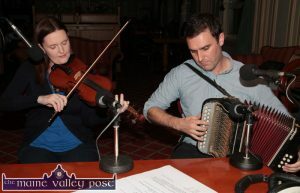 Paudie O’Connor is a wonderful accordion player from Co. Kerry. His playing follows in the traditions of Sliabh Luachra, and is influenced by fiddle-players as much as by accordionists from the region. Paudie is a regular contributor to traditional music festivals, workshops and lectures at home and abroad and has been a presenter on the TG4 music programme Geantraí featuring many of the musicians currently playing in Sliabh Luachra. Aoife Ní Chaoimh is a great fiddle player from Tralee, Co. Kerry, who plays in a style very much in sympathy with the Sliabh Luachra tradition and contributes much to the unique settings and rhythm that typifies their duet playing. 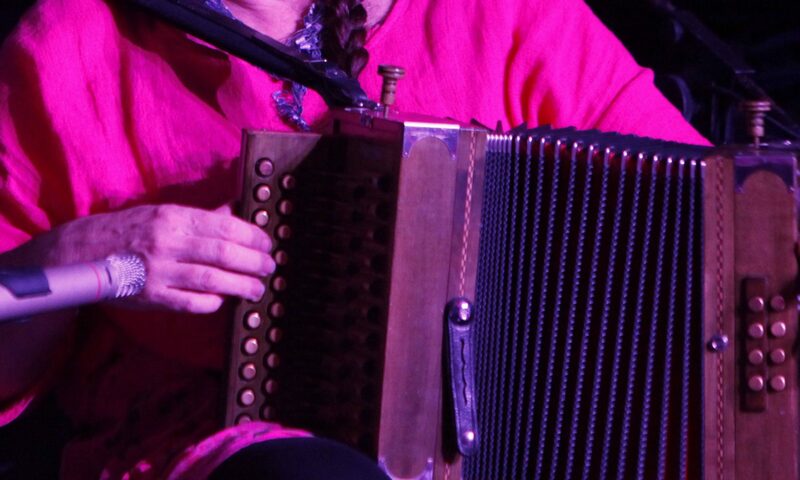 She has been featured on numerous TV and radio programmes including The Liberty Hall Late Session (RTÉ) and Geantraí (TG4). Amongst a number of highly regarded recordings in the last twenty years, perhaps the most notable is the album ‘Didn’t She Dance and Dance’, devoted to the music of Sliabh Luachra, which the Irish Times praised, saying it would become “a staple set of tunes for students, dancers and lovers of the Rushy Glen’s rich musical tapestry” for many years to come.